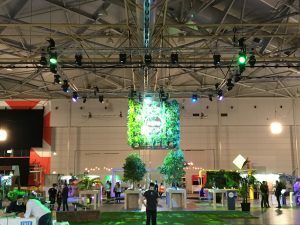 Five things to do after a conference – a XeroCon wrap-up! Xerocon South 2016 has came and went with a bang for another year! The Wink Reports team were in attendance and we participated in the event through our very own booth in Startup Alley. It was an exciting and busy three days – full of engaging keynote speakers, interesting workshops, meeting up with our new and existing clients, and connecting with our cloud accounting peers. We went home with a lot of information to digest, so we’d like to share our tips for getting the most out of your post-Xerocon (or any other industry conference) experience! Get organised – Chances are that you have shaken a lot of hands, taken a lot of notes, and collected a lot of business cards during the conference! Once you get back home, it’s a good idea to sort through everything and prioritise the contacts you want to establish or maintain. A spreadsheet is a simple way to organise these. Notes that you have taken from workshops or seminars can be typed up or saved in digital format. Share with your team – Letting your team know about any leads you’ve generated or new partnerships that are being formed is great for morale! Other notes, tips or information that you’ve taken away from the conference should be shared with the team to keep them up to date with industry trends and increase their knowledge of your market. Reflect on your goals – Did you get to attend all of the workshops or hear all the keynote speakers you were intending to? Did you visit the booths of your peers or get the chance to establish new networking connections? Reflecting on how the conference went for you enables you to plan better for the next one and to follow up on opportunities that might have been missed. You could contact a peer directly if you missed the chance to chat in person, watch recordings of missed speakers on Youtube, or check out the websites of competitors. Plan for next time – If you missed a particular workshop, or you didn’t get in touch with the people you’d intended, put it on your list for next time! It’s never too early to start thinking about what you’d like to achieve in the future for your company, and start setting goals for your next conference.